Data is Currently being updated to include the latest Sept. 2016 Quarter filings that were due Nov. 14th, 2016. Please bear with us through the weekend. Current Qtr. 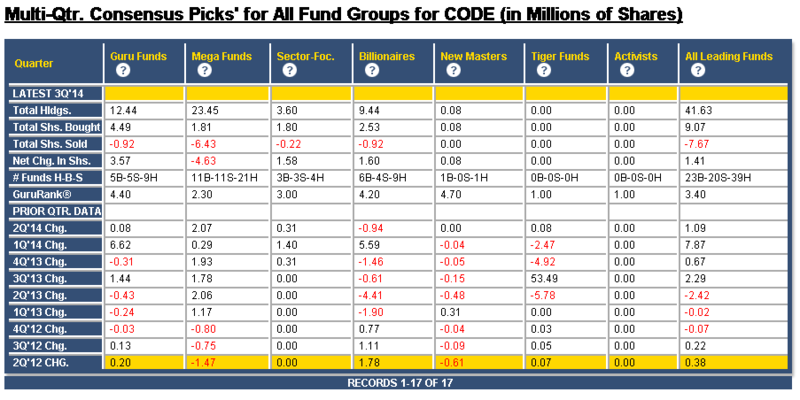 Consensus Picks Summary For All Seven Plus Combined Fund Groups Only Available to Consensus Picks DIY Tools Members. Please click here to sign-up. The sample image below illustrates current quarter Consensus Picks’ summary data for one of the 6,700+ stocks (incl. 1,400+ international stocks) that are owned by one or more of the fund managers included in our hand-picked list of Wall St.’s top 330+ fund managers. Multi-Qtr. Consensus Picks Summary For All Seven Plus Combined Fund Groups Only Available to Consensus Picks DIY Tools Members. Please click here to sign-up. The sample image below illustrates multi-quarter Consensus Picks’ summary data for one of the 6,700+ stocks (incl. 1,400+ international stocks) that are owned by one or more of the fund managers included in our hand-picked list of Wall St.’s top 330+ fund managers. Current Qtr. 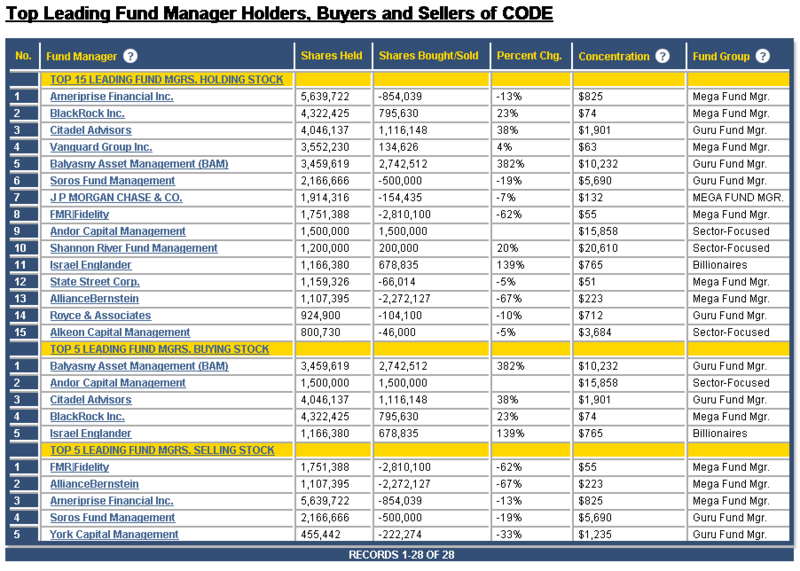 leading fund manager Top Holders-Buyers-Sellers summary is available to all GuruFundPicks.com Members, regardless of the type of subscription. Our subscription options include Consensus Picks DIY Tools Memberships, (click here to subscribe); our ConsensusAlpha Top 20 Small-cap and Top 30 All-cap L/S Newsletters (click here to subscribe); and our AlphaNewsEdge Trade Alert and Trade Alert Pro (with auto-trade) services (click here to subscribe). The sample image below illustrates Top H-B-S summary data for one of the 6,700+ stocks (incl. 1,400+ international stocks) that are owned by one or more of the fund managers included in our hand-picked list of Wall St.’s top 330+ fund managers. Two year archive of 13D/G filings by stocks is to all GuruFundPicks.com Members, regardless of the type of subscription. Our subscription options include Consensus Picks DIY Tools Memberships (click here to subscribe); our ConsensusAlpha Top 20 Small-cap and Top 30 All-cap L/S Newsletters (click here to subscribe); and our AlphaNewsEdge Trade Alert and Trade Alert Pro (with auto-trade) services (click here to subscribe). The sample image below illustrates the latest 13D/G Summary archiving 2 years of SEC filing data for one of the 6,700+ stocks (incl. 1,400+ international stocks) that are owned by one or more of the fund managers included in our hand-picked list of Wall St.’s top 330+ fund managers. The Fundamentals pane view is available to all GuruFundPicks.com Members, regardless of the type of subscription. Our subscription options include Consensus Picks DIY Tools Memberships (click here to subscribe); our ConsensusAlpha Top 20 Small-cap and Top 30 All-cap L/S Newsletters (click here to subscribe); and our AlphaNewsEdge Trade Alert and Trade Alert Pro (with auto-trade) services (click here to subscribe). 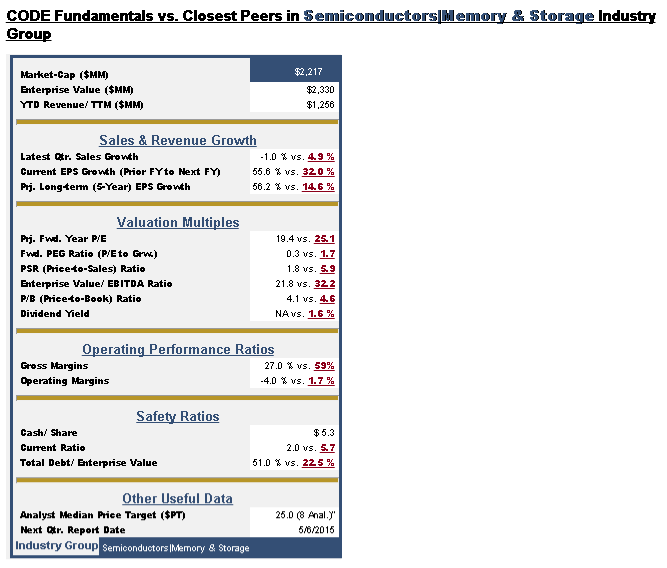 The sample image below illustrates the fundamentals for one of the 6,700+ stocks (incl. 1,400+ international stocks) that are owned by one or more of the fund managers included in our hand-picked list of Wall St.’s top 330+ fund managers. The Latest Charts and News pane view is available to all GuruFundPicks.com Members, regardless of the type of subscription. 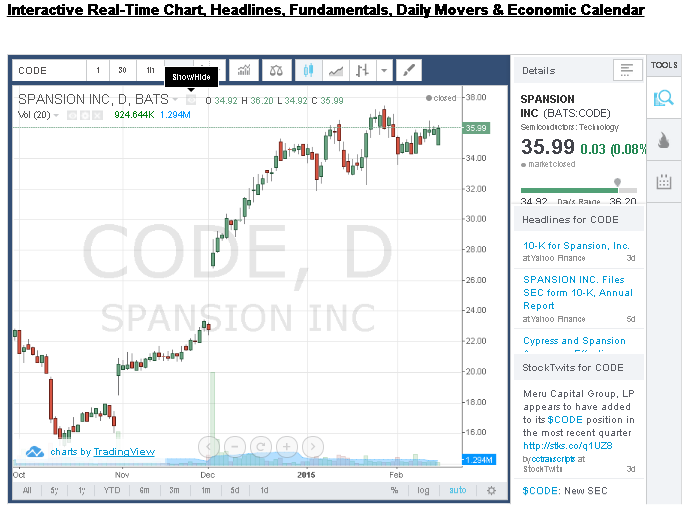 Our subscription options include Consensus Picks DIY Tools Memberships (click here to subscribe); our ConsensusAlpha Top 20 Small-cap and Top 30 All-cap L/S Newsletters (click here to subscribe); and our AlphaNewsEdge Trade Alert and Trade Alert Pro (with auto-trade) services (click here to subscribe).